Once upon a time there was a little tree that took root on the side of a big mountain. As the little tree was growing, the wind and the rain kept shaking him, making him extremely tired. Because he was fighting the weather all the time, he had little time for himself. One day, the tree remembered that when he was smaller the wind and rain did not shake him so much. So he sought council from Wise Owl, who said “maybe you’ve overextended yourself; you should cut back a little.” Pleased with the advice, the little tree trimmed his roots… and felt lighter… for a while. So what are we (and the pilot in the analogy) to do? 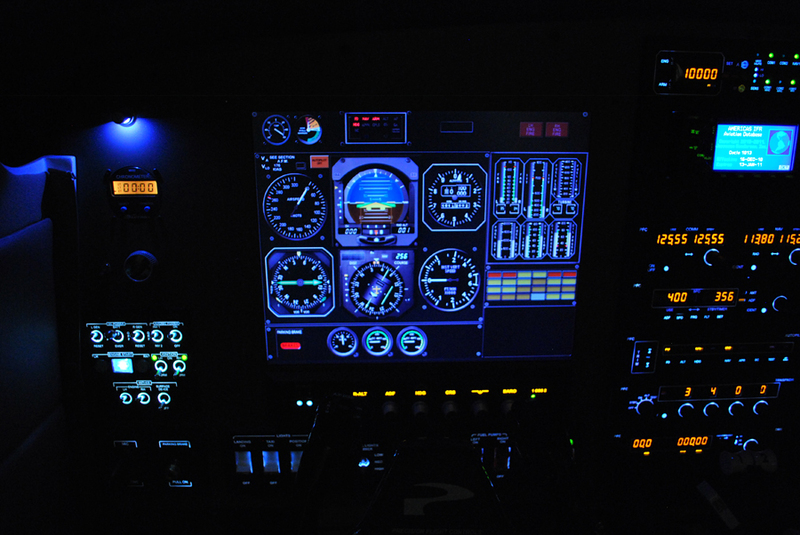 A saving move for the pilot is to use the light in the cockpit to “fly by instruments.” The pilot must rely on what the instruments are saying about speed, altitude, direction, etc. and course correct based on that information rather than any feeling he or she may have. By analogy, God has placed the light of the Holy Spirit in every one of his followers and has given us the wealth of the Scripture by which we may order or lives (and correct the course as necessary). But even more, we have the benefit of our mighty Heavenly Father who loves us with the greatest love possible and the relationship with Jesus Christ who promised to never leave us. So, God (Father, Son, and Holy Spirit) lights our way, loves us mightily, and engages in deep intimacy with us personally. So my encouragement to you (and to myself) is to stay focused on the light of the Holy Spirit, be refreshed by the knowledge of God’s love, and hold on to the promise that Jesus will never abandon us. I lift up my eyes to the hills– where does my help come from? My help comes from the LORD, the Maker of heaven and earth. He will not let your foot slip– he who watches over you will not slumber; indeed, he who watches over Israel will neither slumber nor sleep. The LORD watches over you– the LORD is your shade at your right hand; the sun will not harm you by day, nor the moon by night. The LORD will keep you from all harm– he will watch over your life; 8 the LORD will watch over your coming and going both now and forevermore. I pray this short reflection ministered to your heart as much as it ministered to mine. Feel free to pass it along to anyone who may benefit from it, and may God by glorified through it.